I enjoy drifting back to memories of my teenage years. the Chanukah and Christmas holidays. and Lil put up a Christmas tree. blinking lights and the delightful scent of pine had me mesmerized. To this day, the smell of pine stirs up my memory of that time. a predominantly Italian neighborhood consisting of mainly private homes. We lived in a 3 family house in the area. we warmed ourselves standing close to the fire we had made in a 55 gallon drum. brother Frankie to stay until closing time. As the brothers ate their dinner. we joined others for sled riding, or ice skating when the river was frozen. Christmas displays. Some had Nativity scene statuettes on their lawn. of lights, indicating the numbered day (1-8) of the Chanukah festival. or from sampling their homemade "vino's"
on with our daughter, doing our "Christmas Time in The City" ritual. 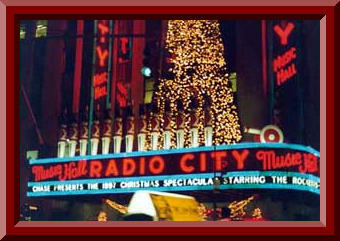 Christmas stage show, and a movie at the Radio City Music Hall. attraction, especially at this holiday time. a seating capacity of nearly 6,000. A world renowned dance group. shops, and the crowds of people strolling along, was delightful to us. feet high, is brought to this site and erected as their Christmas tree. 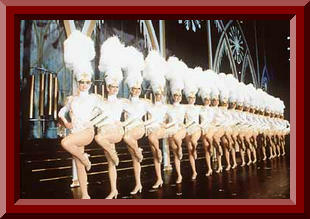 Decorations consist of almost 30,000 light bulbs, using about 5 miles of wire! 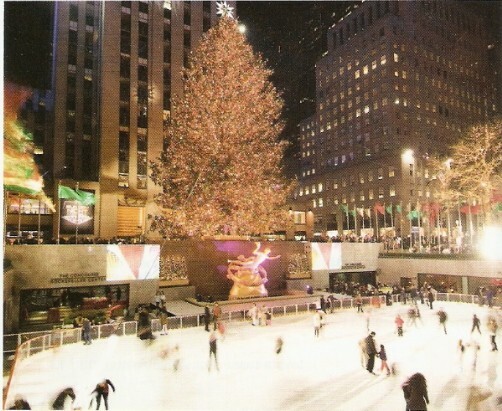 the skaters and listening to the Christmas music being played there. roasted chestnuts that I had purchased from a street vendor. had us beginning to feel the nip in the air. 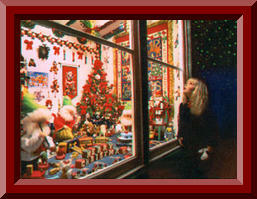 admiring the holiday window displays of all the stores on the avenue. continued for many years. Eventually we changed it to New Years Day. These are the memories of the Christmas season that I remember so well.